The Burma campaign of the Second World War was a war of extremes, contradictions and harsh brutality. Over festering jungle and burning plains to high mountains and lazy rivers, it involved the longest retreat in British history, and the longest advance; long-range penetration miles behind enemy lines, vicious hand-to-hand fighting and the horrors of forced labour. Yet this strange war remaisn utterly fascinating with singular characters like Slim, Mountbatten, Stilwell and Wingate, while dominated by ordinary soldiers ‘gathered to itself like a whirlpool, men from the ends of the earth’: from Britain, America, Canada, Australia, New Zealand, West, East and South Africa, but overwhelmingly, from India; Dogras, Sikhs, Punjabis, Kumaonis, Madrassis and Nepalese, representing every race and caste on the subcontinent, all far from home, fighting for survival against a ruthless enemy prepared to die for his emperor, while the Burmese fought for their independence. 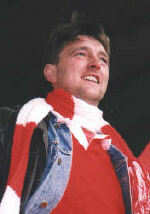 Jon Latimer draws these disparate strands together to describe the operations and the politics that shaped them, while illustrating the experiences of thousands of ordinary people whose lives were caught up and transformed by this south-east Asian maelstrom, many of whom feel that like Fourteenth Army - they were forgotten. This book will ensure none of them are. 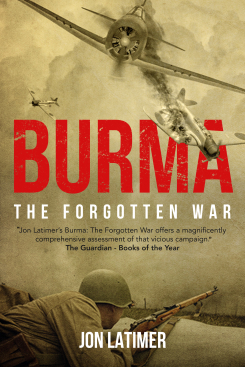 "Jon Latimer’s Burma: The Forgotten War offers a magnificently comprehensive assessment of that vicious campaign." "Expertly describes the story of the Allies' savage struggle to repel Japanese invaders from the British colony of Burma"
"Jon Latimer is acquiring a formidable reputation as a military history heavyweight with a light enough touch not to put off the merely curious." "Burma: The Forgotten War is detailed military history of the finest sort....His book is extraordinarily good at allowing the soldiers and airmen, as well as civilians, to speak for themselves...Given a volume as detailed and thoroughly researched as this one, it is also remarkably readable ....If you have read many or no previous histories of the war in Burma, you will enjoy this one." "Jon Latimer offers a gripping narrative of the Fourteenth Army's Burma campaign"
"Jon Latimer does an admirable job of charting the contributions these men made in their corner of the second world war"
"A detailed narrative of all the significant military operations which is unlikely to be surpassed or ever attempted again. While setting out the complex political background, the book also clearly describes how the British in India built up and re-trained their armies and developed their tactics and strategy. An especially graphic picture is painted of the human factors involved." "A thoughtful treatment of the British World War II campaigns in that still-suffering country."